Dyscalculia (Mathematical) is a Specific Learning Difficulty (SpLD). What is Dyscalculia? ; Definition of Dyscalculia, What Causes Dyscalculia? ; Dyscalculia Checklist; Dyscalculia Assessment Test; Dyscalculia Aids & Equipment; Dyscalculia Treatment – How you can help; Software for Dyscalculia; Dyscalculia FAQ’s; Employers & Dyscalculia; Handwriting Groups; Help & Advice and a Dyscalculia Book List. You will also find a section on: Looking for schools that specialise in Dyslexia / Dyscalculia; Psychologists who can test for Dyslexia / Dyscalculia; Test Centres for Dyslexia / Dyscalculia and how to find a specialist tutor in your area. What is Dyscalculia (Mathematical Difficulty)? Dyscalculia (pronounced: Dis-cal-qu-lee-ah), affects approximately 3 – 6% of the population. It is a specific learning difficulty in mathematics. Like dyslexia, dyscalculia can be caused by a visual perceptual deficit. Dyscalculia refers specifically to the inability to perform operations in mathematics or arithmetic. It could be described as an extreme difficulty with numbers. It is essential to recognise dyscalculia as soon as possible before it impacts on a child’s self-esteem. Just as there is no single set of signs that characterise all dyslexics, there does not appear to be the only one cause of dyscalculia. My book: ‘Dyslexia and Other Learning Difficulties – A Parent’s Guide’ has been updated. It contains extensive information on: Dyslexia, Dyscalculia, Dysgraphia, Dyspraxia and other Specific Learning difficulties (SpLDs). For a fuller description of ‘Dyslexia and Other Learning Difficulties – A Parent’s Guide’ please click here. 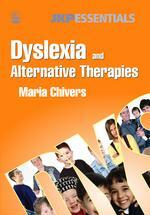 My book: ‘Dyslexia and Alternative Therapies’ contains information on a wide range of alternative therapies and the way they can help people with Dyslexia, Dyscalculia, Dysgraphia, Dyspraxia and other Specific Learning Difficulties (SpLDs). What Causes Dyscalculia (Mathematical Difficulty)? We still do not know very much about this condition. However, it is estimated *3 – 6 % of the population may have it. Around 60% of dyslexics have difficulties with dyscalculia. A lot of research is now taking place, and it is hoped that over the next few years we will begin to understand this a little more. These factors are often exacerbated by weak processing, sequencing skills and poor-short-term memory problems. They are usually good at answering verbally but cannot tell you how they got the answer. Along with dyslexia and dysgraphia, the extent to which you can be affected by dyscalculia varies tremendously from person to person. How can I help a Student with Dyscalculia? You can help a student with dyscalculia by helping to develop his skills with sequencing, space organisation, deduction, directional awareness, timekeeping and strategy. The earlier it is started, the better. Reference: *(Badian, 1999; Gross-Tsur et al., 1996; Lewis et al., 1994). There are a lot of ‘Touch Typing’ packages available. However, I think for people with dyslexia, dyscalculia, dysgraphia, dyspraxia or other learning difficulties (SpLD’s), it is advisable to use programmes that were specially designed with ‘dyslexic’ type problems in mind. The programmes listed below, have been tested and used for years. They are excellent. Why not give your child an advantage over the holidays and get them to touch-type? I am sure you would not mind sitting with them (although you don’t have to) for ¹15 minutes a day for five days. This will give them an excellent start when they return to school. After that, it is just practice to increase the speed and to get the whereabouts of the keys to ‘long-term memory’ (that’s my expression, not theirs). If they know the keyboard, when they want to write something, they can just get on and type – it definitely makes writing more accessible. For further information, go to KAZ’s website: KAZ or telephone 01926 423424. The lady on the other end of the phone is Sheraleen Bragenza. She is very easy to talk to, and she can answer any questions you may have. ‘voted #1 Best Typing Tutor of the Year’ for 2018.